Jay Garfield’s Engaging Buddhism admirably shows the relevance of Indian philosophy to the interests of mainstream analytic Anglophone philosophers. Garfield deploys the Indian tradition to critique phenomenal realism, the view that there really are qualia or phenomenal properties—that there really is ‘something it’s like’ to be undergoing the experience you are undergoing right now. I argue that Garfield’s critique probably turns on a false dilemma that omits the possibility of introspection as a fallible tool for getting at a real stream of experience that may or may not be accurately reported. Garfield also argues that if we are phenomenal realists, metaphysical idealism remains a philosophical possibility, whereas if we join him in rejecting phenomenal realism then we can also justifiably reject metaphysical idealism. 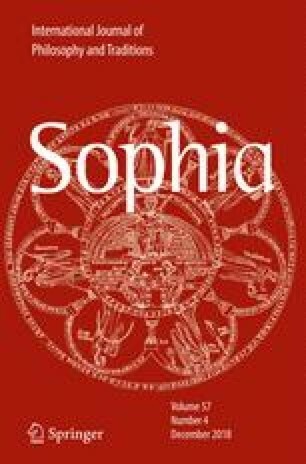 I accept this conditional but reverse its valence: One advantage of phenomenal realism, and also of engaging with the Indian philosophical tradition, is that it opens up wonderful possibilities, like metaphysical idealism, that mainstream analytic Anglophone philosophers tend to too swiftly dismiss.